D-Link DVG-G1402S [DVG-G1402S] : AddVant LLC, IP PBX, IP Phones, WiFi etc. D-Link, an industry leader in networking, introduces the DVG-G1402S, an 802.11g wireless router with embedded VoIP functionality. The DVG-G1402S is designed for VoIP service providers and resellers to bundle their existing VoIP services and create a consistent, reliable, and flexible VoIP Networking Solution. The DVG-G1402S is a router with 802.11g wireless that facilitate users to easily network all of their computers and other networking devices together and share Internet access. The DVG-G1402S also enables end users to use their existing analog telephones with VoIP phone service. 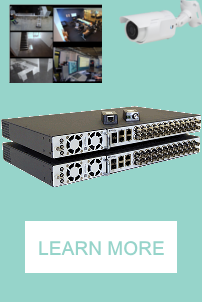 It comes with two FXS ports to allow end users the flexibility to either connect up to two analog phones or an analog phone and a FAX machine for small office environment. The DVG-G1402S Wireless VoIP Router supports the SIP voice protocol, which is the widely deployed by VoIP providers on the market. It also supports the basic telephony features such as call waiting and caller ID. After selecting a VoIP service provider, the DVG-1402S can be easily provisioned via secured HTTP/TFTP. For security, all configuration settings are protected and only VoIP service provider or reseller with authenticated user name and password can access the settings. The DVG-G1402S supports multiple audio CODECs to ensure consistent voice quality and to eliminate echoes. The integrated QoS provides three levels of voice packet control to ensure reliable call quality and to prevent dropped calls and voice "cracking". The DVG-G1402S Wireless VoIP Router provides all of the necessary elements to create a robust voice and data network for home or SOHO environments by combining VoIP with network router. The DVG-G1402S combines VoIP and networking solution to simplify the home networking infrastructure. Above all, the DVG-G1402S will help customers to control their budget by not having to purchase all of the hardware individually.